Texas A&M University will create a new scientific center to help protect the world’s multibillion-dollar market for coffee, following a vote of support from the board of regents. Coffee is the main source of income for about 100 million people across the globe. The industry has a retail value estimated at $30-32 billion for the United States alone, reaching $170 billion worldwide, said Craig Nessler, director of Texas A&M AgriLife Research. However, experts have said the coffee industry is facing serious problems. 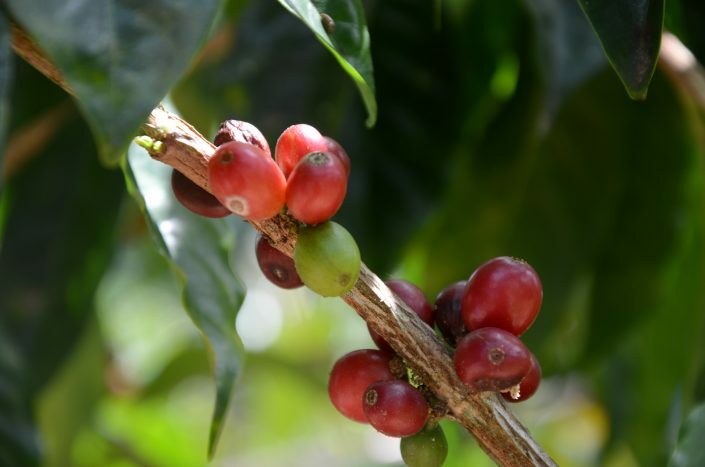 Diseases, narrow genetic diversity, climate change and an ever-increasing global demand have experts predicting a difficult future for coffee producers. “Coffee has suffered from a lack of advanced research in areas like genetics and disease resistance,” said Tim Schilling, executive director of World Coffee Research, an industry-sponsored non-profit organization that partners with scientists at Texas A&M. Diseases such as coffee rust, a hard-to-stop fungus that attacks and kills coffee trees, have spread across Central and South America, devastating production in the coffee-growing regions of Guatemala, Honduras, Costa Rica, Panama, El Salvador and Brazil. Guatemala declared a state of emergency in 2013 due to the havoc this disease brought to their farms. Responding to these challenges, the Texas A&M University Board of Regents voted on Sept. 1 to create the premier scientific center in the world dedicated to the advancement of research and development to improve the quality and sustainability of coffee. The Center for Coffee Research and Education, located at the university’s Norman Borlaug Institute for International Agriculture, will seek to make rapid gains in research to sustain and grow the world’s coffee supply. “With the creation of the new center, one of the world’s best agricultural research institutions is adding its might to the effort to solve key issues facing one of the world’s most important crops, and those of us at World Coffee Research are honored to be working alongside the center,” Schilling said. The center will offer researchers and students the rare opportunity to engage in fundamental research, while at the same time providing the opportunity to conduct significant parts of their research directly on location at coffee farms of producing countries, Nessler said. It also offers the opportunity to collaborate with coffee scientists from other coffee research institutions and companies around the world. “Coffee farmers are facing the challenges of increasing demand globally and decreasing land suitable for production due to climatological change. Compared to other influential crops, relatively little research has been conducted on coffee that would support farmer resiliency to such challenges,” said Leo Lombardini, director of the center, and a professor in the Department of Horticulture, College of Agriculture and Life Sciences. The center will build on the extensive international development experience of the Borlaug Institute for International Agriculture and the previous research conducted by university scientists and the World Coffee Research. It will also take advantage of the WCR’s existing relationships with international research institutions and the private sector. “The mission of the Texas A&M Center for Coffee Research and Education is to help fill the paucity of coffee research and education, and to create economic opportunities for coffee farmers worldwide,” Lombardini said. The Inter-American Development Bank estimates that in Central America and southern Mexico up to 4 million people derive their livelihoods from the coffee industry. “Through these efforts, we will be helping small farmers rise out of poverty and hunger, providing them with a hope and a future for themselves and their families in fulfillment of the legacy left for us by Dr. Norman Borlaug,” said Elsa Murano, director of the Borlaug Institute.